Lucerne’s rich culture, scenic landscape, and superior transport links make it an ideal destination for travelers in Switzerland. From city sightseeing to Alpine skiing, here are our top tips for making the most of your three days in Lucerne, including options for wider exploration. 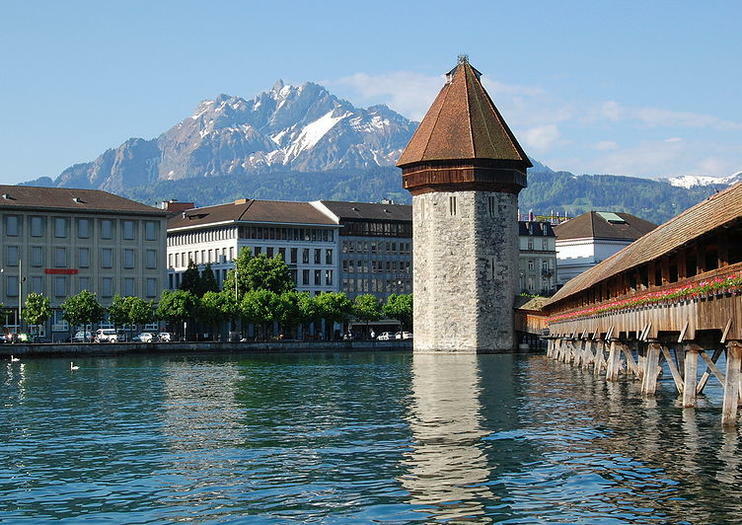 Begin by familiarizing yourself with Lucerne and its iconic landmarks. Private and small-group walking tours provide an intimate glimpse of the compact old town with a guide leading the way. Consider a stop at the Swiss Transport Museum, which hosts special exhibitions (prebook special exhibition entry for ease) in addition to a planetarium and theater. Consider historical after-dark tours, which offer atmospheric immersion in the city’s medieval past. Conclude your day with a classic Swiss raclette in one of the old town’s traditional restaurants, or experience the modern and vibrant nightlife along Baselstrasse. Take advantage of Switzerland’s efficient transport network to widen your perspective on a full-day tour. Admire iconic mountains, such as Jungfrau or the Matterhorn, on an Alpine excursion, or even try skiing on the frozen slopes. If you’re more of a city lover, opt for a day trip to Zurich or Bern. Either way, convenient round-trip transfer is typically included in such tours, with an evening return. If you’re not yet ready for bed, venture out to the bars and restaurants of Helvetiaplatz, which are popular with locals and ideal for unwinding after an active day. Spend your last day discovering the region’s heritage on a cultural tour. Learn about Lucerne’s history and legends on a walking or cycling tour of its rural surroundings, or get a taste of classic Swiss cuisine at the Engelberg show dairy and Aeschbach Chocolatier. If time permits, finish off your visit with a late afternoon or evening cruise on the lake itself, and enjoy panoramic views of the picturesque landscape. Learn about Swiss history and culture on a small-group day trip to Bern from Lucerne, with no more than 16 people. After traveling through the UNESCO-listed biosphere reserve of Entlebuch Valley, break up your journey with a stop at the Kambly Experience to watch Swiss biscuits being made. In Bern, explore the medieval Old Town, and then indulge yourself with Swiss cheese at a dairy in the Emmental region. You’ll learn how the Emmentaler AOP is made and savor samples, too. Famous for its beautiful medieval architecture and spectacular lakeside scenery, Lucerne is widely considered the jewel in Switzerland’s crown. On this walking tour, enjoy a comprehensive introduction to Lucerne’s culture and history, see the best of Lucerne with ease, and take in top attractions including the Chapel Bridge and the first baroque church in Switzerland.